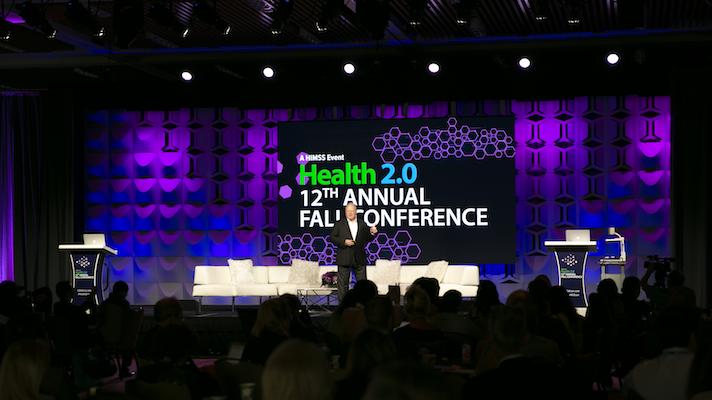 Speaking at the Health 2.0 conference here Monday, Wolf said that in the U.S., 49 percent of healthcare costs are covered by the government, yet as the ‘Silver Tsunami’ continues, that cost is expected to leap to 53 percent. But the problem isn’t just money, it is also the lack of manpower and skilled providers to take care of the aging population. Currently there is a gap of 7 million healthcare professionals, but that gap is only expected to grow, he said. Many are looking toward data as a way to solve problems in healthcare, as more and more of it becomes readily available. But data alone isn’t the solution, Wolf said. Healthcare is often behind on innovation. Wolf said the system is playing catchup to other industries in someways. For example, he said that his dog had a registry at its vet before his son had one at his doctor's. That doesn’t mean healthcare should catch up to old technology — rather, should be looking towards new better innovation like a segmented personalized registry. For example, a patient being treated for breast cancer shouldn’t get a breast screening reminder. But it isn’t just the healthcare systems that are looking to change. Wolf also stressed that patients are becoming more engaged and informed about their health. “The individual and the consumer are going to grab apps on their own, and manage [what] they are looking for because they aren’t waiting for the medical model to catch up,” Wolf said. But the confluence of an aging population and more educated consumers means that transformational change in healthcare is coming down the pipeline, he said.